Weston has traveled throughout Africa and lived in Morocco, and the musics of these nations have influenced his work significantly. He has performed with Moroccan gnawa musicians, touring with them in 2006. No musician has been more devoted to exploring the connection between Afro-American classical music (jazz) and the ancestral spirits and rhythms of the African continent than Randy Weston. The Brooklyn-born pianist began his professional career nearly 55 years ago as part of the bebop revolution in New York, playing with Art Blakey, among others, in a manner that synthesized the harmonic and rhythmic innovations of Thelonious Monk and Bud Powell with those of his earlier influences: Count Basie, Art Tatum, Nat King Cole, and Duke Ellington, and developing a personal approach to the piano once poetically described by Langston Hughes as ?a combination of strength and gentleness, virility and velvet [which] emerges from the keys in an ebb and flow of sound seemingly as natural as the waves of the sea.? Weston insists that, even though he is often credited with bringing the music of Africa to the fore in jazz, it was simply a natural evolution in the music's continuum. ?People like Eubie Blake and Duke Ellington, the great artists of the ?20s, William Grant Stills, people like that did a lot of composition about Africa. They knew the connection; so it's not something brand new, it was just something that got cut off. Without the influence of those before me, there wouldn't have been any Randy Weston. If I didn't spend those years hanging out with Thelonious and listening to Ellington, hearing Art Tatum, hearing the boogie woogie giants, all that rich, rich music, there wouldn't be a Randy Weston. From our masters, our elders, our ancestors, we learn how to play this music and learn its possibilities, so without them there wouldn't be me. I'm just simply standing on the shoulders of the great people who came before me.? Weston has been instrumental in bringing the music of his American ancestors back to Africa and merging it with the continent's rhythms and traditions. ?I don't present it to them as jazz, I present it to them as this is African classical music in America. You may not recognize your music after it crossed the Atlantic, I say,? he laughs, ?but we're going to bring it back to you and let you hear what happened when we left and came into contact with other cultures, with other kinds of instruments and created this music. So that's what I tell them. This is your music, you just may not recognize it, but it's your music. I've been very fortunate to have been very successful in Africa. I perform in about 18 countries and the people have been really appreciative of what we do. I always have a kind of basic African rhythm underneath in my music so the people can identify with it.? That underlying rhythm is prominent in Weston's working group, the African Rhythms Quintet, a distinctive unit in jazz that eschews the American trap drum kit, substituting the multi-percussion of hand drummer Neil Clarke in its place. The group's unique rhythmic sound is further enhanced by the idiosyncratic style of Alex Blake's often-strummed bass, the very personal vocalized sounds of New Orleans-born trombonist Benny Powell and the exotic voice of alto saxophonist/flutist Talib Kibwe and/or Texas tenor Billy Harper. ?We are more of a family,? the patriarchal pianist proudly proclaims. ?We've been together a number of years and there's a lot of respect and love between us and a lot of respect for our ancestors and what came before us. We play music, but we try to understand a little bit more about African civilization, in music, in poetry, in architecture, in philosophy. Things we usually don't get in school, so we'll give each other books. They're not only great musicians, they're also very much interested in our culture, so we have a great time together.? Weston's recent CD Spirit! The Power of Music (Sunnyside, 2003) unites the band with the Gnawa musicians of Marrakesh and Gnawa musicians of Tangier in a synthesis of African and American music, in the tradition of his earlier recordings Uhuru Africa, Bantu, Tanjah Blue Moses and African Cookbook. Weston's close association with the Gnawa people goes back to the years he lived in Morocco and he has been deeply influenced by their culture. ?Gnawa represents the strength and spirituality of African culture because of their history of being taken as slaves and soldiers, crossing the Sahara Desert and settling in Morocco. They've created a very powerful spiritual music, just like African Americans have in this country, because the Creator is extremely important in traditional societies. So with the Gnawan people I've experienced some incredible music. They have communication with nature, with the Creator. They play games in music, they do rituals in music, they eat fire in music, they tell history in music and they dance and tell jokes and do everything with music and it's wonderful for us because we are experiencing a tradition that is thousands and thousands of years old.? The disc documents a year 2000 concert in which Weston is reunited with the group with whom he first recorded eight years before, on the Verve album The Splendid Master Gnawa Musicians of Morocco, at the Lafayette Presbyterian Church. The moving music is transcendentally spiritual and indicative of the leader's power to obliterate artificial barriers erected by a categorization-craving industry and bring together not just musicians but the people who listen to them. ?It was a very special evening,? says the pianist, whose six foot seven stature and dignified demeanor bring a regal ceremonial air to all of his performances, ?because (though not heard on the CD) Babatunde Olatunji with his group opened up the concert and after that it was ourselves and then the Gnawan people. What was so wonderful was that we had these three religions, Christianity, Islam and Yoruba, in music and the church was just packed with people. It was so spiritual, all this wonderful music together. So it was quite, quite the evening. One I'll never forget.? 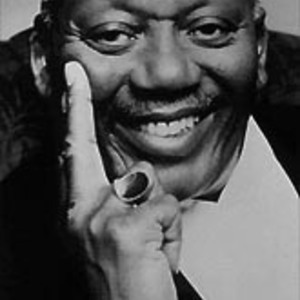 The long-running Randy Weston Ensemble consists of T.K. Blue (Talib Kibwe), saxophones; Benny Powell, trombone; Neil Clarke, African percussion and Alex Blake, bass. With a performance career spanning 60 years, Weston is one of the world's foremost pianists and composers, a true innovator and visionary.Encompassing the vast rhythmic heritage of Africa, his globally influenced music continues to inform and inspire. "Weston has the biggest sound of any jazz pianist since Ellington and Monk, as well as the richest, most inventive beat," states jazz critic Stanley Crouch, "but his art is more than projection and time; it's the result of a studious and inspired intelligence...an intelligence that is creating a fresh synthesis of African elements with jazz technique". Some of Weston's best known compositions include "Hi-Fly," "Little Niles," "Berkshire Blues," "African Sunrise," "The Healers," "Blue Moses," and "African Cookbook." With over 40 CDs in his discography and a long list of accolades and awards, Weston continues to tour internationally. This past November he appeared in Salzburg, Austria; Szeged, Hungary; and F?s, Morocco. In March 2009 he performs in Paris, France.